Outer Ear - The outer ear is made up of the pinna, or auricle, and the external auditory canal. The pinna collects and funnels sound down the ear canal. The ear canal is curved, “S” shaped, and about 1 inch long in adults. It has hairs and glands that produce wax called cerumen. Cerumen helps to lubricate the skin and keep it moist. Middle Ear - The eardrum (tympanic membrane) is a membrane at the inner end of the ear canal. On that inner side of the tympanic membrane is an air-filled space called the middle ear cavity. The vibrations of the tympanic membrane are transmitted through the malleus (hammer) incus (anvil) and stapes (stirrup), also called the ossicles. The stapes footplate transmits the vibrations into the inner ear. Inner Ear - The inner ear has two divisions: one for hearing, the other for balance. The hearing division consists of the cochlea and the nerve of hearing. The cochlea is snail-shaped, bony structure that contains the sensory organ for hearing called the organ of Corti. The organ of Corti releases chemical messengers when the vibrations from the stapes activate its tiny hair cells. These then excite the nerves of hearing which carry sound to the brain. Central Auditory Pathways - The central auditory system is a complex network of neural pathways in the brain that is responsible for sound localization, speech understanding in noisy listening situations and other complex sounds, including music perception. The causes of hearing loss are varied and their impact on hearing is variable. Sometimes the cause or etiology is readily apparent, such as a wax build-up in the external ear canal or an ear infection. 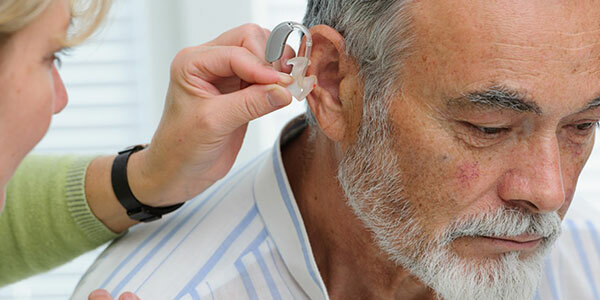 At other times, the cause of the hearing loss is presumed or indefinite given current levels of technology and the information they provide, such as in cases of sudden onset or non-syndromic sensorineural hearing loss. Middle Ear- perforation in tympanic membrane (ear drum) from trauma to disease, otitis media (ear infection), broken ossicular chain due head or ear trauma.